The Mulberry Semi Flush Mount light is an attractive round fabric ceiling fixture. A glass diffuser inhibits the glare of the light. 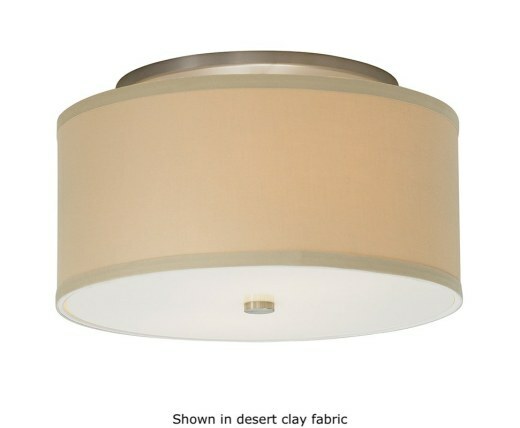 In a desert clay or white fabric, this light comes with satin nickel hardware finish. This is a perfect way to add style to your room! Select either incandescent or fluorescent lighting. Includes either two 60W bulbs or two 18W compact fluorescent bulbs.